This is a VR car driving virtual reality game for Google Cardboard and other 3D mobile virtual reality headsets. Use your VR headset to race a car off road and explore a desert. Get ready to drive a 4x4 pickup truck 3D virtual reality. Experience the real sensation of driving an SUV through the desert on your mobile virtual reality headset. This game boasts a 360 VR FPS field of view, addicting and endless gameplay. Press the Cardboard Trigger or any button on your gamepad to start the game, and drive across an open map desert world. 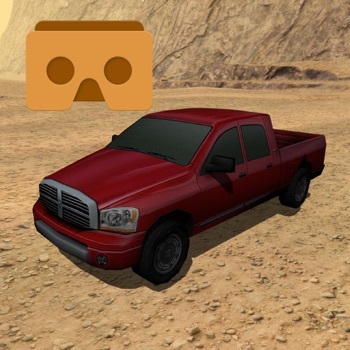 Try to jump on sand dunes, and become a virtual reality truck racer!